Our venue offers a range of purpose-designed, flexible meeting spaces that can accommodate any event from small meetings in private function rooms, to business lunches in banqueting suites and conferences and AGMs in our city conference venue. The City of London Club is also an ideal venue for social events or private dining in the daytime or evening. It’s double-winged, sweeping staircase and the lofty banqueting halls with sumptuous décor provide a dramatic backdrop for exciting and memorable events. Make sure you ask to see our beautiful roof terrace with the new, heated table umbrellas. The large (80sq m) open terrace is completely private, and is overlooked by the dramatic City skyline. It’s hired as part of our Garden room, the perfect indoor-outdoor space for spring parties, summer barbecues and autumn events. 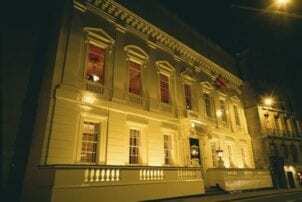 If you would you like to host your wedding reception or weekend event at your very own Club in the heart of the City, you will be pleased to know that one of London’s most unique venues, The City of London Club is available to you.